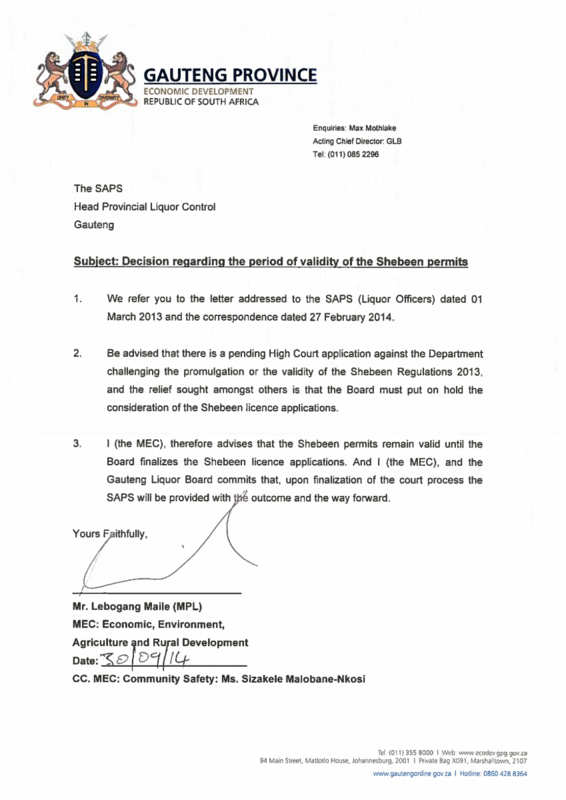 Spotong | Good news - shebeen permits extended! Good news - shebeen permits extended! The Gauteng Liquor Forum (GLF), which represents 21 trade associations comprising more than 15000 liquor traders in Gauteng, is pleased to announce that the MEC for Economic Development, Lebohang Maile, has extended the shebeen permits until the current court case involving the Liquor Board and the rate-payers associations of Yeoville and Bellevue is finalised. The Yeoville and Bellevue residents are complaining about the decaying of their suburbs with the number of unruly shebeens in their midst; they claim to have submitted many complaints to local SAPS right up to the provincial and national level without success, and they’ve also complained to the Liquor Board, still without success. Now they are asking the High Court to stop the Liquor Board from converting the shebeen permits into shebeen licences and allowing for new applicants for shebeen licences. The conversion would have brought relief to the thousand of permit holders in the province who are harassed by corrupt members of SAPS,who always claim that their permits have expired, and also to the many who cannot afford to meet the tavern licence requirements. The question we are asking ourselves is who is funding these associations. The obvious factor is that these are DA-led constituencies. We are therefore all suffering because of petty politics. The GLF stands by and supports responsible trading and consumption of alcohol, which is why we’ve now embarked on forming an association in these areas to educate everyone there about the do's and don’ts in the trade. 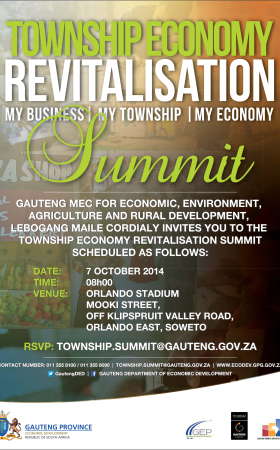 In the short time he’s been in office, the MEC has gone to more than 50 townships in Gauteng with the theme of “Revitalisation of the Township Economy” and he asked the GLF to assist with mobilising and informing communities to attend, which was done most willingly, especially where in some instances other people could not fit in certain halls. 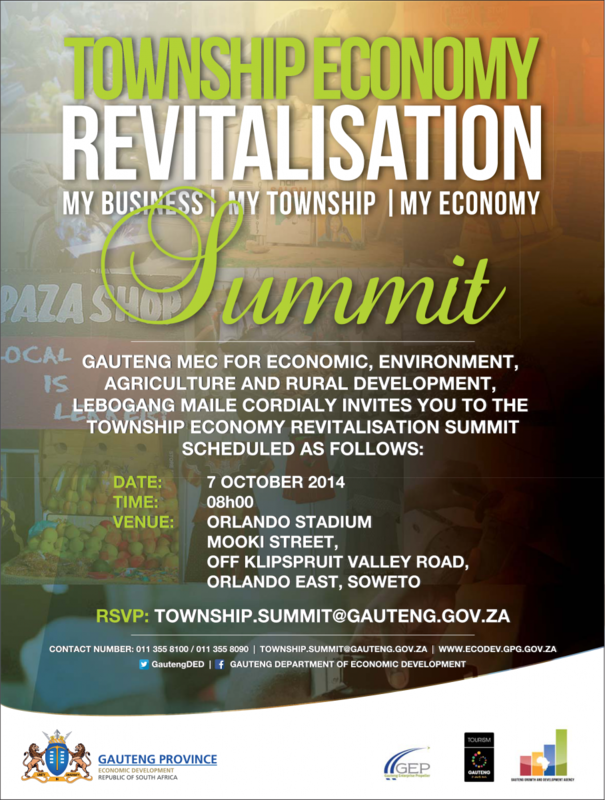 The MEC wanted to know from communities how the Government can help them start, maintain and expand their businesses. Some of the matters raised by communities were lack of land, small factories for engineering, bakeries, manufacturing, and so on. Shebeen permit holders were complaining about the continuous extension of Shebeen Permits and the Municipalities that harass them about consent letters, especially Ekurhuleni, which forces them to apply by means of court orders. The GLF had a meeting with the different Municipalities to no avail, and we believe that the whole matter is politically motivated. The industry lost another leader in Saint Madlala, who was the President of the South African Liquor Traders Association (SALTA). Many people from various stakeholders including the Liquor Board, SAPS, Liquor Associations, and the community at large came to pay their last respects to this fallen hero who was praised by all and sundry for his commitment to alleviating poverty and to the liquor traders out there, not forgetting the pivotal role played by the SAB’s Mr Vincent Maphayi and his team led by the dynamic Millicent Maroga, who were with the family from start to the end. This is the same support that we got as GLF on the passing of Ronald Qupe. We therefore want to take this opportunity as the GLF to thank Millicent for her continuous support for the Industry. Gauteng Liquor Forum is pleased to announce that the MEC for Economic Development Lebohang Maile has extended the shebeen permits! The GLF kick-started October (Liquor Month) with a well-attended meeting in Daveyton, which was graced by Mrs Cleo Bodibe-Lushaba from the Liquor Board and her team, SAPS Provincial Office, and SAPS Daveyton. The theme was compliance and responsible trading. Noted absentees were SAPS Putfontein, SAPS Etwatwa, and SAPS Benoni, though invites were sent and received. These are the police stations who people complained about as having corrupt policemen and their absence gave credibility to the claims. The traders agreed that during the festive season they are going to close at 12 midnight, not 02h00am, as per their permits, to allow members of SAPS to combat crime. And traders also said that they are dedicated and determined to ensure that they will comply with their respective Code of Conducts that encourage responsible trading and alcohol consumption, and also prohibit the selling of alcohol to visibly pregnant women and to children under the age of 21, public servants and people in uniform such as police, soldiers, nurses and paramedics. Mrs. Bodibe Lushaba asked that Gauliba should include a clause in their Code of Conduct to the effect that members refrain from using their outlets as brothels.